Join Atlas Obscura Senior Editor Ella Morton for a talk about the world's oddest and most awe-inspiring wonders. 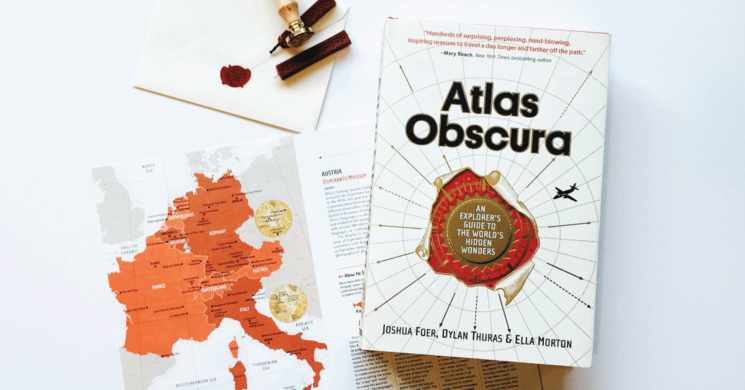 Come visit the Texas Book Festival to hear highlights from our book, Atlas Obscura: An Explorer’s Guide to the World’s Hidden Wonders and meet author Ella Morton! The conversation will be followed by a Q&A and book signing. The book will be available for purchase, and you'll get a chance to have it signed and chat with Ella. This event is also the perfect opportunity to explore the rest of the festival and meet other curious explorers!